A scientific study finds the impact from last year’s West Point sewage-plant catastrophe was small and brief. 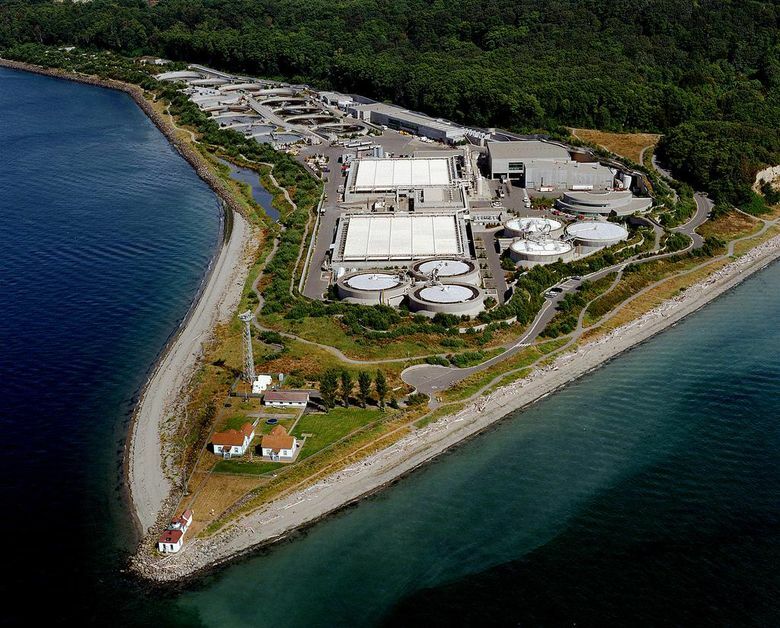 Last year’s West Point sewage-treatment-plant disaster that sent nearly 250 million gallons of untreated stormwater and sewage into Puget Sound caused little to no damage to water quality, a scientific review by King County has found. The plant was crippled in a catastrophic flood Feb. 9, 2017, so badly damaged it could perform only minimal settling of effluent and disinfection of waste in primary treatment for three months. 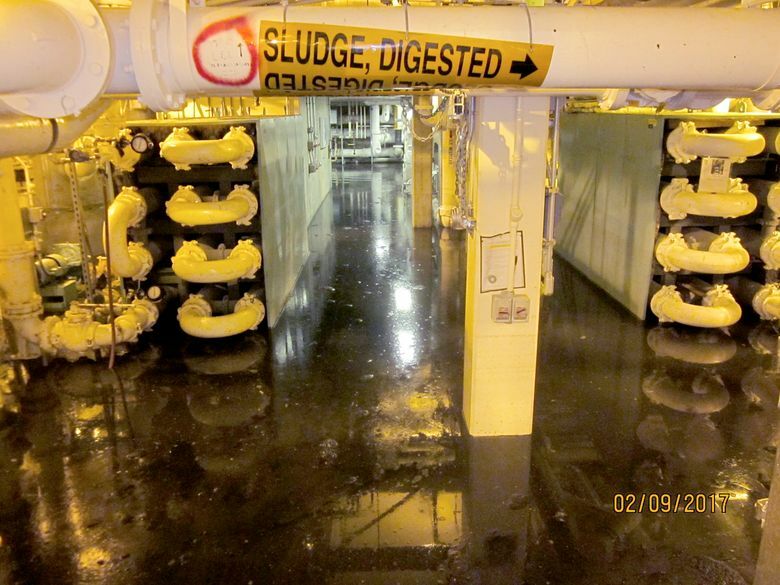 Many thousands of tons of solids were deposited in Puget Sound via the plant’s outfall 240 feet under water. But the discharge largely did not affect water quality, the scientists found. Swift currents diluted the pollution. Water quality did not slip below most required standards at the monitoring stations in Puget Sound, the scientists found in the report, which was approved by three external reviewers. The largest effect documented so far of the plant’s greatly reduced capacity was during the emergency bypass of totally untreated sewage to the Sound, causing brief increases in bacteria counts at beaches near the plant at West Point, which were closed to protect public health. Those effects also quickly dissipated, with bacteria back to safe levels within three days, according to the report. West Point, in Discovery Park, is the largest wet-weather plant of its type on the West Coast, and serves some 700,000 people. The plant discharged 244 million gallons of untreated stormwater and sewage through a 40-foot-deep emergency bypass outfall during two separate events on Feb. 9 and 15-16, 2017. The bypasses consisted of approximately 85 to 90 percent stormwater. But most measurements found the water samples met applicable water-quality standards even while the plant was under repair, with the exception of high bacteria counts and low dissolved oxygen at some sites in June. Those deficiencies were due to natural seasonal conditions, according to the report. Analysis still is underway of samples taken from sediment near the outfall, as well as monitoring to search for metals and other pollution in intertidal sediments, clams, zooplankton and crab tissues. Chris Wilke, executive director of Puget Soundkeeper Alliance, a water-quality-protection nonprofit, said he was not surprised by the results of the report. 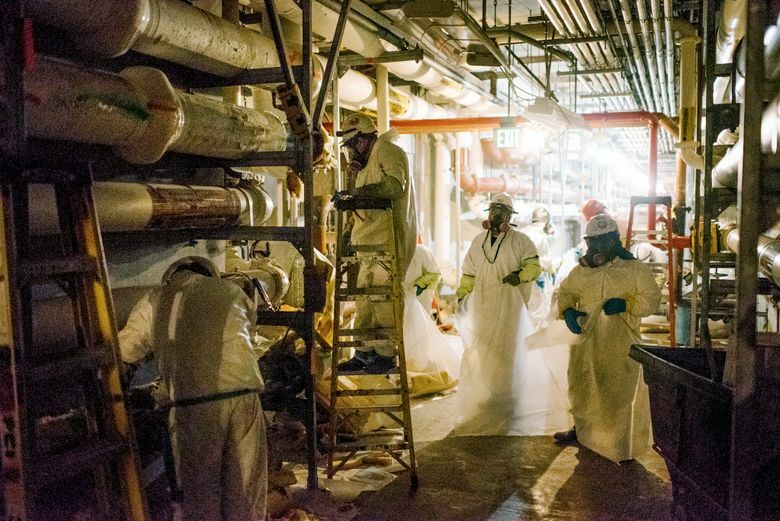 The report is the result of voluntary increased monitoring by King County’s Wastewater Treatment Division on the beach and in the water and sediments while the plant was unable to perform normally. John Spencer said pre-treatment of industrial waste discharged to Puget Sound helped make the environmental impact less severe. A career clean-water professional, Spencer was for nine years director of Seattle METRO’s Wastewater Utility and for 13 years deputy director of the state Department of Ecology. Whether to build the secondary-treatment plant at West Point was a subject of long and intense debate, Spencer said. The U.S. EPA in 1972 called for the technology to be mandatory at municipal wastewater-treatment plants across the country. 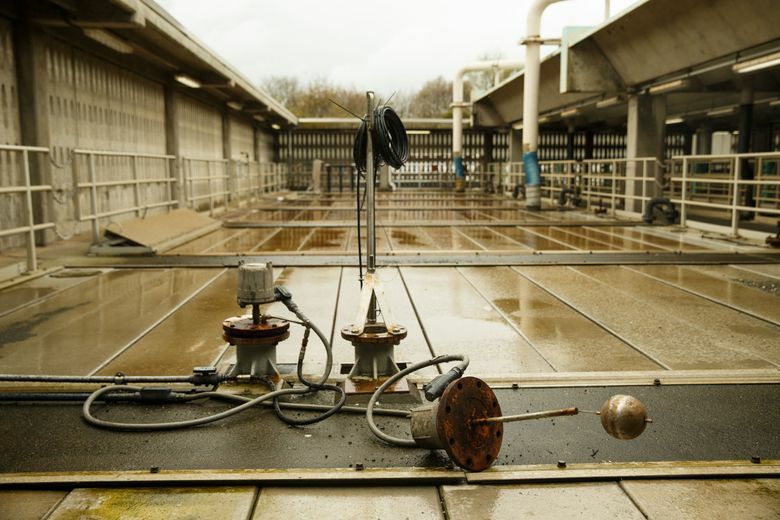 Primary treatment is the first phase of the wastewater-treatment process, in which trash is screened from the waste stream and solids are settled out to be sent elsewhere in the plant for further treatment. 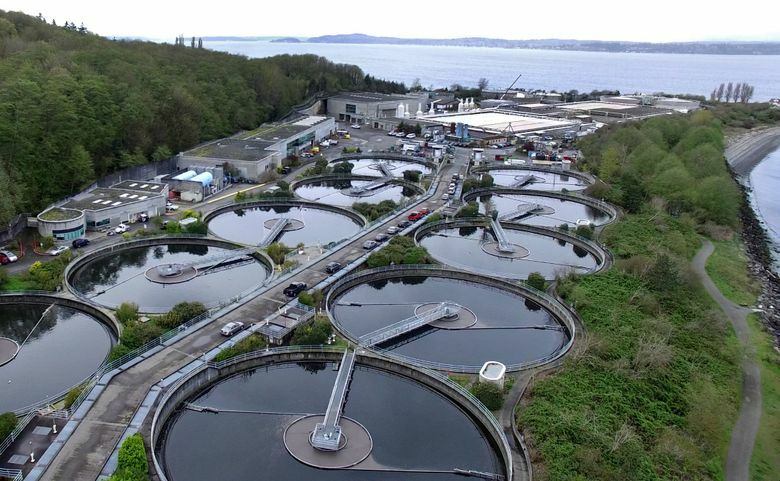 Secondary treatment is a biological phase of wastewater treatment, in which tiny organisms further clean wastewater before it is disinfected and returned to Puget Sound. Washington received a waiver from the secondary-treatment requirement at West Point in part because of its deep-water outfall in fast currents. However, the state’s own mandate that any and all available methods be used to treat discharges to Washington waters sealed the requirement to provide secondary treatment at West Point, Spencer said. The debate over whether to provide the costly enhancement also was effectively ended when a gray whale washed up dead on a Puget Sound beach, Spencer recalled. “That whale brought to an end the conversation,” he said. Looking back, Spencer said he has no question secondary treatment was the right decision for West Point and Puget Sound. The underwater terrain of Puget Sound restricts the exchange of water to the Pacific, so pollutants can circle and cycle into the environment. And many pollutants, such as nitrogen and pharmaceuticals, still pass untreated from waste water to Puget Sound. If anything, more treatment is needed of the region’s wastewater, Spencer said, not less.